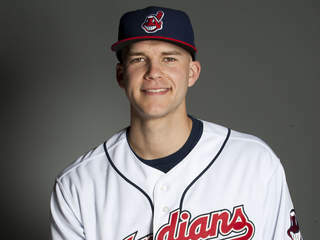 The St. Louis Cardinals announced this afternoon that they have acquired right-handed starting pitcher Justin Masterson from the Cleveland Indians in exchange for Springfield (AA) outfielder James Ramsey. Masterson, who will join the Cardinals on Friday, Aug. 1, in St. Louis, is scheduled to start Saturday against the Milwaukee Brewers. Masterson, 29, is 4-6 with a 5.51 ERA in 19 starts for the Tribe this season, fanning 93 batters in his 98.0 innings pitched. He was placed on the 15-day disabled list on July 8 (right knee inflammation) and made a pair of injury rehabilitation starts (July 20 and 25) for Columbus (AAA) prior to today’s trade. This entry was posted in 2014 Cardinals and tagged James Ramsey, Justin Masterson, Michael Wacha, press releases, Trades by Christine Coleman. Bookmark the permalink.